When Group B cars were banned from Rallying in 1986, all the manufacturers involved in the WRC had to hurriedly change their plans and look for a car in their actual ranges that could be suitable for rallying and capable to be homologated in Group A, what meant that 5000 identical cars needed to be produced to get FIA homologation. 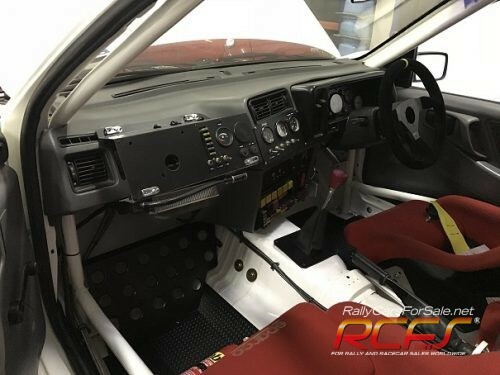 Luckily Ford had the Sierra RS Cosworth project being scheduled for production and homologation that year, with circuit racing in mind but quickly adapted to the situation and developed the Sierra RS for rallying as well. Ford Motorsport at Boreham designed some special parts to make the Sierra a competitive machine on the rally stages, not only for the works cars but also suplying those parts to many preparation companies and private teams that could convert a standard Sierra RS into a full Group A spec car similar to the factory built ones. The result was a formidable car, particulary on tarmac events, wining 26 International rallyes and six National championships in 1987! 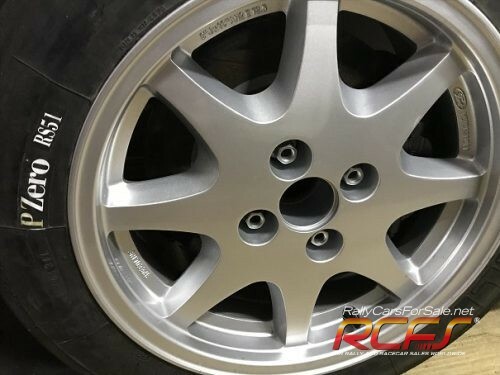 The Sierra we are proud to offer for sale, represents a fantastic example of a genuine Group A Sierra RS Coworth. Registered in 1986, it looks to have been converted to Group A spec in the very early times. 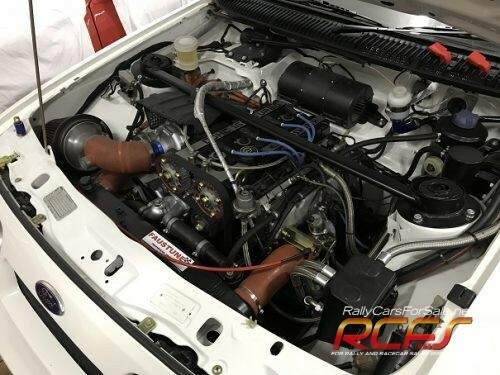 The bodyshell is fully seam welded and specially prepared for rallying, with all the usual reinforcements and brackets fitted, including engine mountings welded to bodyshell. 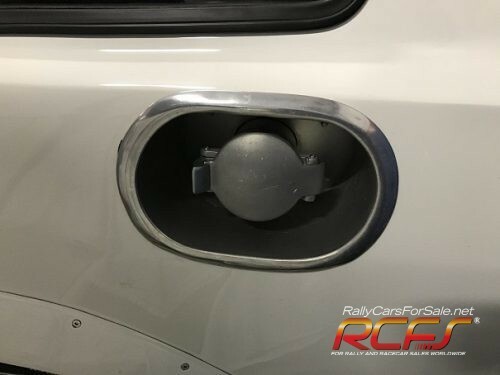 Works spec 909 fuel tank is fitted inside over the rear axle. Adjustable anti roll bars are fitted front and rear, as well as adjustable rear arms, reinforced beam, adjustable front TCA’s and tension struts, big aluminium hubs, adjustable pedal box, AP brakes front and rear, hydraulic hand brake, 9 inch diff, Getrag gearbox (long bellhousing), etc. 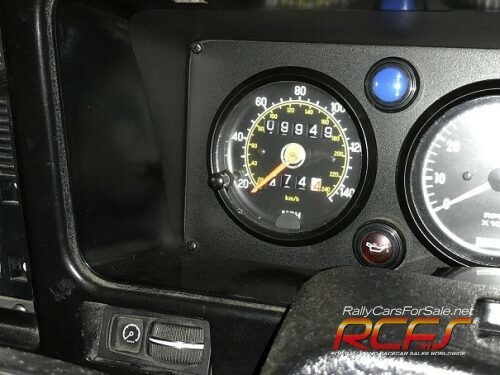 Details like the RS200 odometer (fitted to Boreham cars) and wheels, acompaining the full array of Motorsport parts, make one think the car may have been built by one of the top teams around Ford Motorsport back then, if not Motorsport themselves. No information known about its period history, the car spent some time in an African country before being brought back to Europe some years ago in very original and sound condition, with no signs of having seen much action while there. The car has been taken to bare shell and prefesionally restored 2 years ago, never being used since. 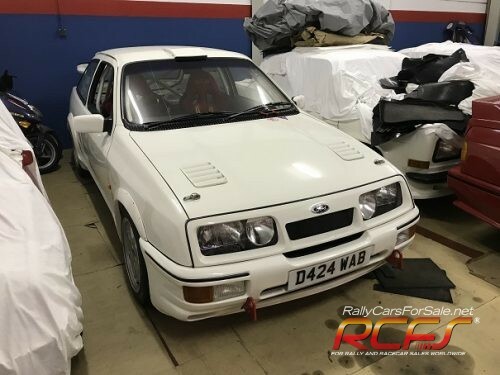 Chances to find genuine Group A RS Cosworth Sierras are really slim nowadays, being actually so sough after for historic rallying or for collectors. A rare chance not to be missed by those looking for one of these iconic cars. Transport to most UK and most EU countries possible at affordable rates. Happy to help with the export logistics to any other countries as well.